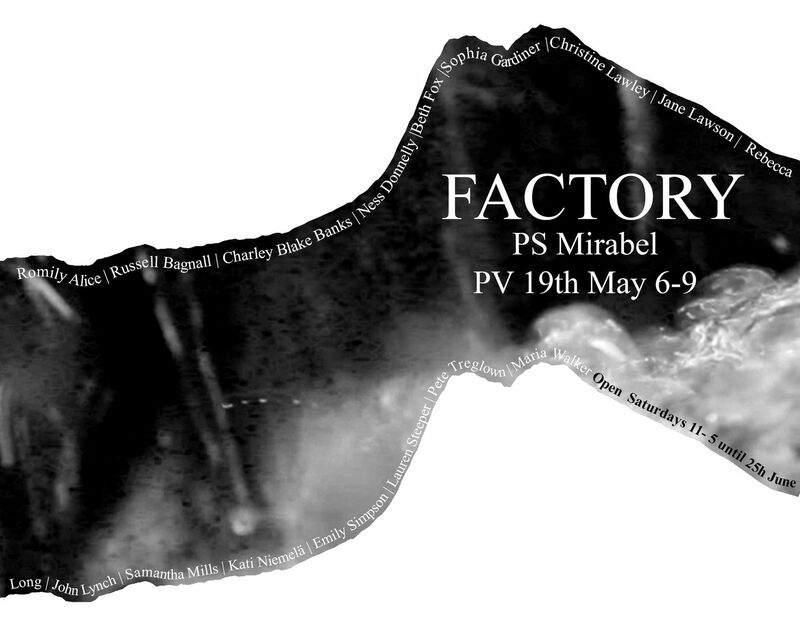 Featuring artists from Manchester and across the UK ‘Factory’ is a forthcoming exhibition bringing together a range of practices and discourse from the selected artists to explore the theme. Factory is an exhibition that will bring together the many narratives interwoven within the theme to explore how these narratives play together within the works. Set against the industrial backdrop of Manchester the exhibition will feature artist from across the North East and UK. Each work has been specifically chosen for its particular investigation and portrayal of the theme; from the repetitive nature of factory production to the individualism, politicisation and the realities of what Factories are. The diversity of the work elevates the show from an simple exhibition to a discussion between the works, the audience and the artists about how the themes are represented and discourse they form within each other.